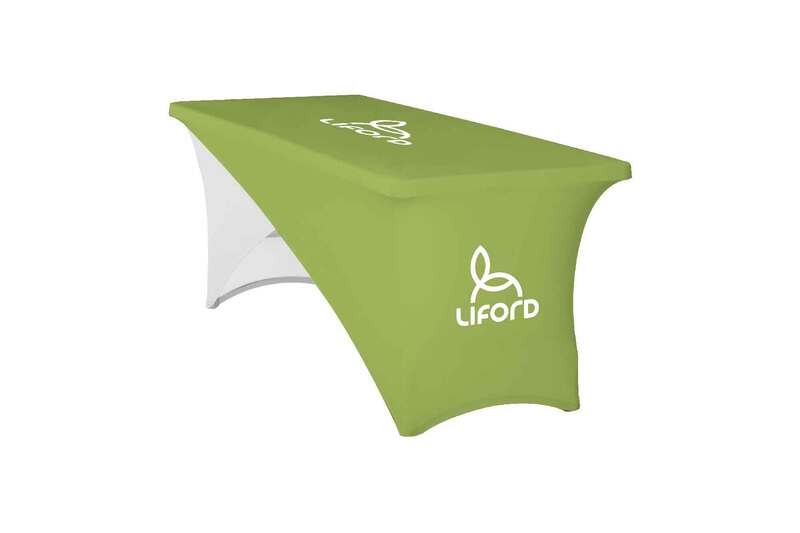 These elegant and sophisticated table covers provide a unique look that will attract attention. This model is made from two individual covers that are designed to overlap and allow for alternate looks depending on which throw is placed on top. The fabric is cut to provide a taut fit while not distorting any print. Starting as white fabric, full color dye sublimation printing allows for custom designs, backgrounds and multiple logo placements. Various blank covers are also available. Rubber inserts, which serve as corner protectors, are sewn into the bottom, to prevent the table legs from tearing or fraying the fabric, in order to increase longevity and quality. Includes double-edge stitching along entire perimeter and a clear PVC carry bag with zipper.